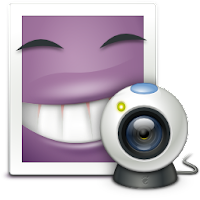 Cheese is a webcam application that allows the user to capture images and videos and apply various effects to them . More info and a quick tour of the application can be found here. Guvcview is a free webcam application for the Linux desktop . It is compatible with all V412 camera devices, using the Linux UVC driver and based on luvcview for video rendering. Audio support employs the PortAudio open source library. Multiple effects can be combined by selecting more then one .